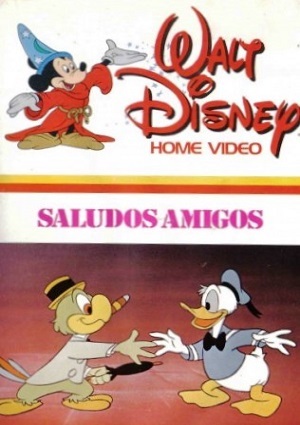 Saludos Amigos (Hello, Friends in English) is a film by Disney made of 4 short film segments. The first of them, Lake Titicaca, features Donald Duck on his trip to Lake Titicaca and how he meets the locals. Next film segment is called “Pedro” and it features Pedro, an airplane that has to flight for the very fist time as a pick up mail plane. Then comes “El Gaucho Goofy”, where Goofy is sent to Argentina to learn the ways of being a gaucho. Finally, there is the segment of “Aquarela do Brasil”, where José Carioca gets introduced to the fans of Disney for the very first time.